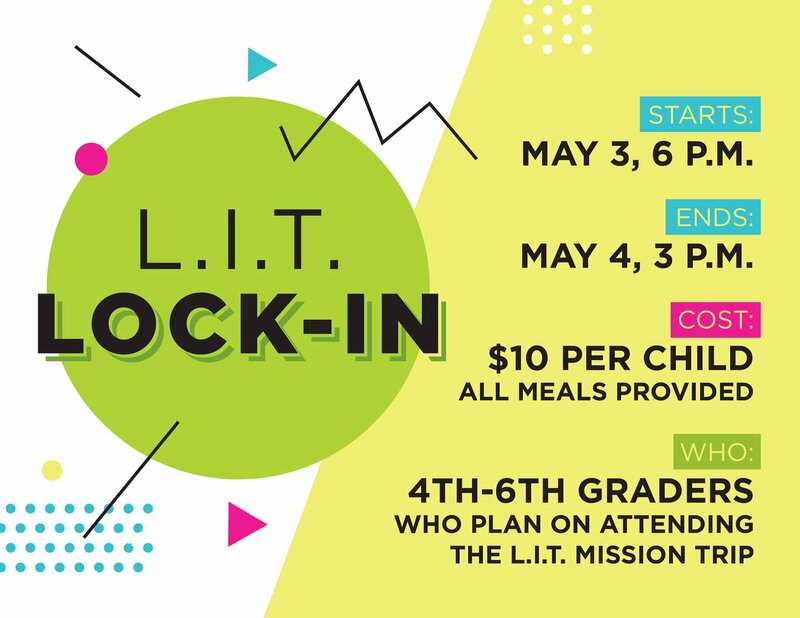 LIT Lock in is Friday and Saturday, May 3-4th. 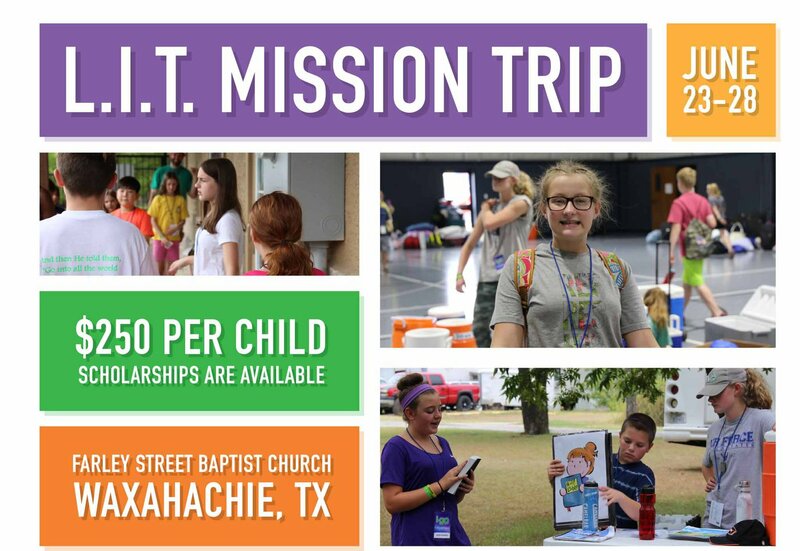 This will be a great time for all 4th-6th graders who are going on the mission trip to get together, begin working as a team, and learn all they will need to learn for the mission trips. If your child plans to go on the mission trip this summer or to Mission: FW, they need to attend this Lock in. The cost is $10/per child. LIT Mission Trip this year will be June 23-28th. We will be travelling to Waxahachie to stay at Farley Street Baptist Church. While there, we will have the opportunity to go out to apartment complexes near the church to share Bible stories, teach the children songs, lead crafts, and share the Gospel. In order to participate in this event, your child must attend the Lock in on May 3-4.The cost for this trip is $250 per child. Scholarships are available. Mission: FW is a brand new thing this year! The week of VBS (June 10-14th), in the evenings (5-8 pm), we will be going out to apartment complexes near the church to share Bible stories, teach the children songs, lead crafts, and share the Gospel. All children 4th-6th grade are welcome to join us. There is no cost for this trip, however, in order to participate in this event, your child must attend the Lock in on May 3-4.